Shantae.com: Testing, 1 2 3! Bring back the awesome blue background with nothing on it! Wow. Just found out about the series today and came here to check it out- if I'd discovered it last week, I wonder what would have been here. But who am I kidding? Gonna download the first one on 3DS, because I've never seen a Game Boy game sell for $300 in Amazon before, and that's a pretty good review in itself, 14 years after the game's release. Hey matt..or chris..or anyone i know of back then..I know this site has been down a lot but if you want I can try and help pitch in bringingn back the old sites O_O! 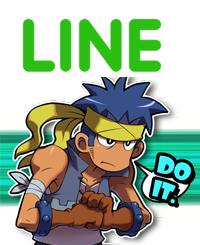 Now you can add Shantae, Bolo and all their sass to your chat talking! Shantae and the Shantae logo - TM Bozon. Simple theme. Powered by Blogger.